4 Bedroom Detached House For Sale in Milton Keynes for Guide Price £575,000. A stunning and generously proportioned detached family home in the Hazely Academy catchment area. 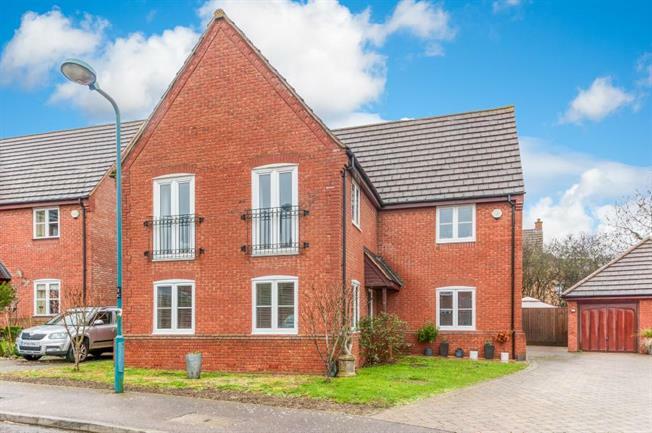 The property is within easy reach of Milton Keynes Railway Station and the A5. Other benefits include: Garage with off road parking for several vehicles, gas to radiator central heating and gardens to front and rear. The accommodation in brief comprises: Entrance hall, downstairs cloakroom, lounge, dining/family room, study, kitchen/breakfast room, utility room. On the first floor there are four double bedrooms, two with en-suites and fitted wardrobes and a family bathroom. An internal viewing is highly recommended to fully appreciate the generous space this home provides.